Sen. Andy Dinniman with bipartisan lawmakers and animal advocates at a rally in Harrisburg to pass legislation to end puppy mills and prohibit leaving dogs in hot cars. 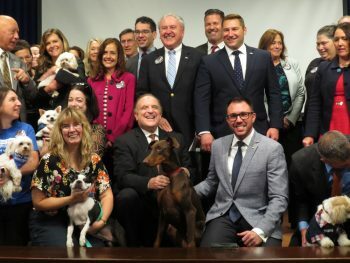 The dog days of summer may be behind us but a group of rescue dogs, animal advocates and bipartisan lawmakers joined state Senator Andy Dinniman in Harrisburg this week to rally for two important bills to better protect our pet animals. 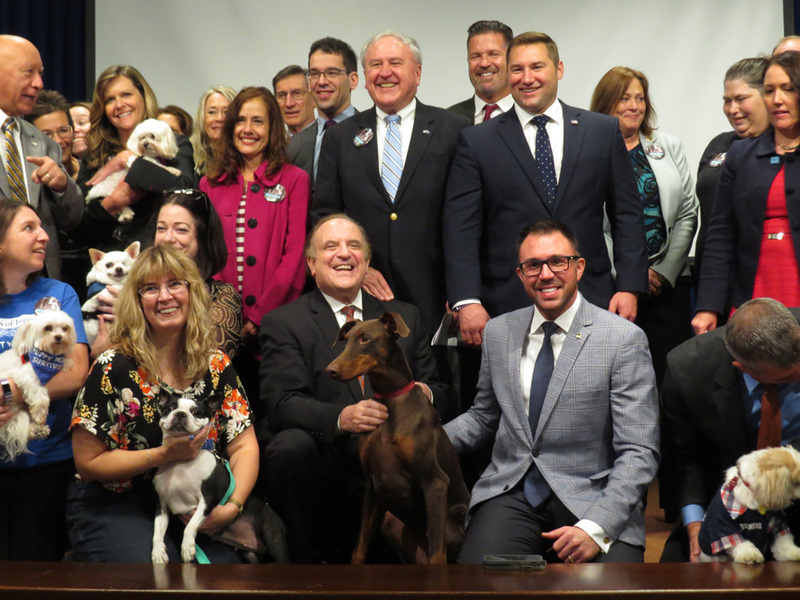 Dinniman, who has long been a leading advocate for the humane treatment of pet animals and tighter animal cruelty laws in Pennsylvania, said the legislature has a golden opportunity in the final days of the 2017-18 legislative session to take a stand for animals. He was joined by state Senators John Rafferty, Guy Reschenthaler and Daylin Leach, state Representatives Frank Farry, Dom Costa and Ryan Bizzaro, officials from the Pennsylvania Chapter of the Human Society of the United States and representatives from rescue and animal advocacy organizations throughout the Commonwealth. Dinniman has introduced Senate Bill 636, the Motor Vehicle Extreme Heat Protection Act, which makes it a summary offense (punishable by fine of up to $300) to confine a dog or cat in a vehicle under conditions that jeopardize the animal’s health. Senate Bill 636 was unanimously approved by the Senate Judiciary Committee earlier this year. However, a similar piece of legislation, House Bill 1216, introduced by Farry, unanimously passed the House and is now on final consideration in the Senate. 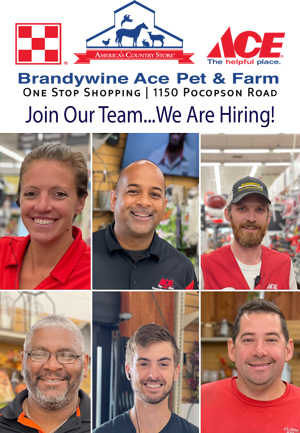 Dinniman also pushed for the passage of Senate Bill 1154, bipartisan legislation to prohibit the sale of commercially raised dogs, cats, and rabbits in pet stores across the Commonwealth. That bill, sponsored by Reschenthaler and Dinniman, is designed to move the pet market toward more humane sources by prohibiting Pennsylvania pet stores from selling puppies, kittens, and rabbits coming from inhumane mills that treat mother dogs, cats, and rabbits as nothing more than breeding machines and their offspring as mere products. Stores will be allowed to source from shelters and rescues and offer homeless animals for adoption, enabling them to be part of the pet overpopulation solution. In addition to addressing the pet store issue, Senate Bill 1154 would close a loophole in the existing outdoor sales law that allows licensed kennels to sell puppies at outdoor venues and events. With this legislation, shelters and rescues would be able to hold adoption events at outdoor sites, but others would not, as there are an immense amount of animal welfare and consumer protection issues associated with selling puppies at flea markets and in parking lots. The bill also will require those advertising dogs for sale to provide their license number, name, and address in all advertisements to increase transparency. Dinniman also noted that Monday’s rally marked the 10-year anniversary of the signing of the Pennsylvania Dog Law, Act 119, by Gov. Ed Rendell. The law marked the Commonwealth’s first major step in the battle against cruel and inhumane puppy mills – a fight that continues today. Governor Wolf has expressed support for both bills and said he would sign them into law if passed.